Directions: Travel south from Forks, WA, on US 101 for about 27 miles. When the road reaches the coast, look for a turnoff into a parking lot. Descend to the beach along a short but steep path. 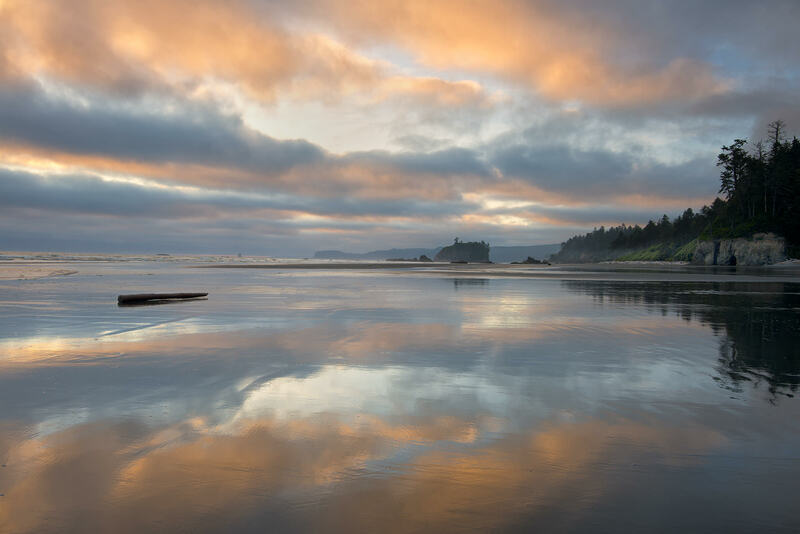 The pristine beaches of Olympic National Park along the Washington coast offer many advantages for landscape photography. 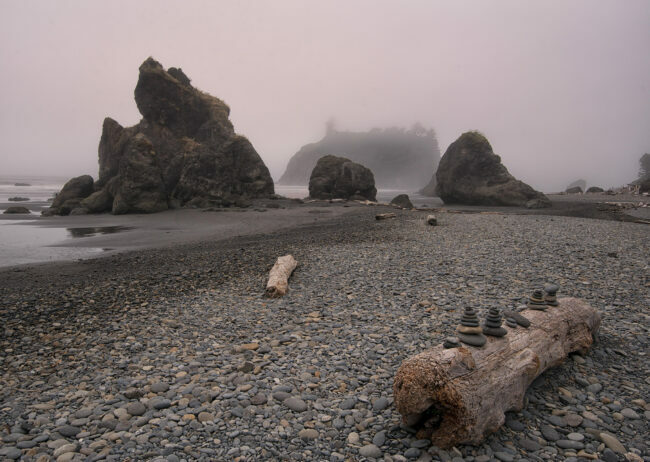 Here one can find sea stacks, driftwood, pebble-strewn beaches, and sweeping vistas to warm the heart of a landscape photographer. In addition, there are no towns and houses, and few people. The variable weather also can work to one’s advantage: fog blows in and disperses quickly, and around sunset it can take on a pink glow. The atmosphere can change quickly. 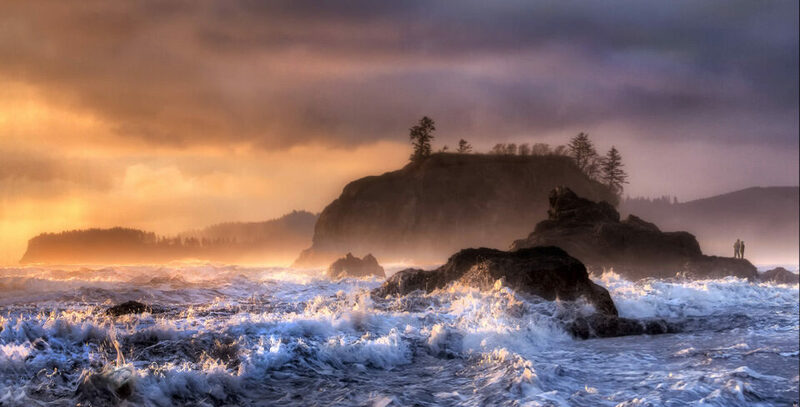 Stormy days with choppy surf can quickly bring a Wagnerian atmosphere to the scene. Late afternoons and sunsets are the best times for dramatic shots. The beach is easily accessible by car from Hwy. 101. From the parking lot, it’s a short descent along a path that leads directly to the beach. Other beaches along HWY. 101 also offer photo opportunities, and the Hoh rainforest is just a few miles to the north.